Neighborhood Groups are a part of this chapter. The attendees are members of this chapter and they get together to hold informal meetings — usually once a month. 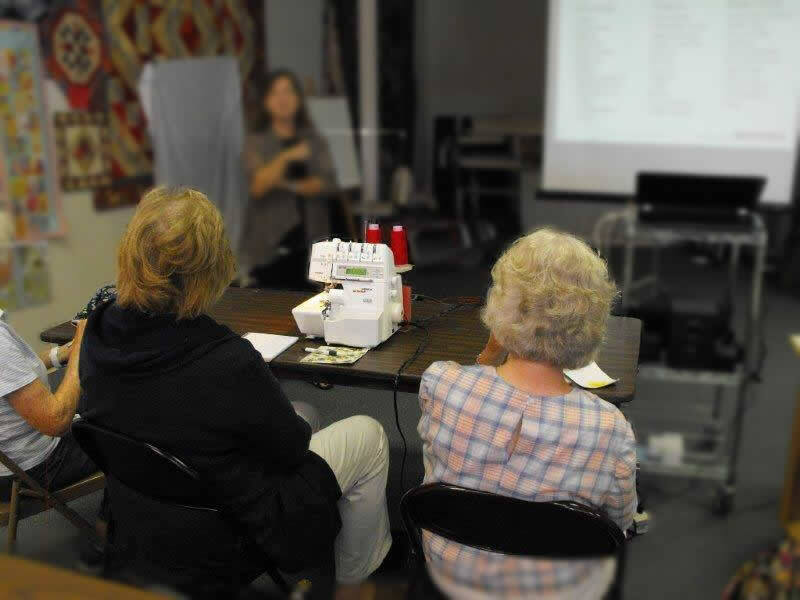 Some neighborhood groups specialize in programs about one topic such as embroidery and others cover all sewing topics. Chapter members may attend as many neighborhood group meetings as they wish — within their chapter or across the nation. If you are thinking about joining ASG, we encourage you to attend a Neighborhood Group meeting near you. You are welcome to attend one or two meetings as our guest. Use the map to locate a group that meets near you. Hover your mouse over the marker to reveal the name of the group. Use the zoom (+ sign) in the lower right corner of the map to zoom in on the meeting location. Drag the position of the map by clicking and holding your click on the map and moving your mouse. Some locations host more than one meeting. You can see additional markers by zooming in.